In June 2018, discourse around immigration to the United States came to a peak when award-winning Getty Images photographer John Moore captured an image of a distraught, crying, two-year-old Honduran child beside her mother and a U.S. border agent. 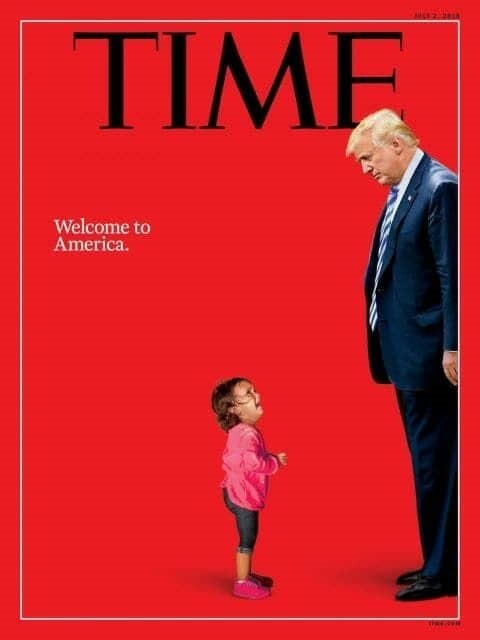 The image of the toddler, with her shoelaces removed and mouth agape in a wail, came to represent Trump’s “zero tolerance” policy toward undocumented immigrants; thousands of children, parents, and family members were separated at the U.S. border as a form of punishment for attempting to cross illegally. When Moore took the photo, it was unknown whether the mother, Sandra Sanchez, and her daughter, Yanela, would be separated during the Photo: Time.com immigration process. 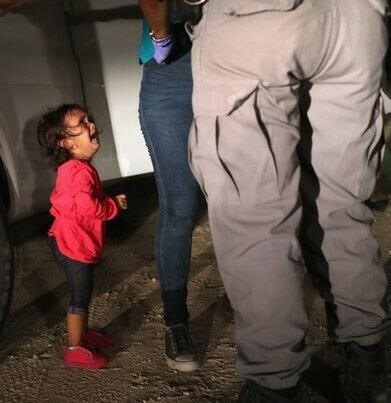 Subsequent to the publication of the original photo, it was discovered that the child and her mother were detained without being separated. Carlos Ruiz, the border patrol agent whose legs are in the original photo, told CBS news that upon Sanchez’s illegal crossing, he detained her and her daughter for a formal search, which took “less than two minutes.” Ruiz reported that as soon as the brief search was completed, Sanchez picked up her daughter, who immediately stopped crying. More case studies and media ethics resources can be found at www.mediaethicsinitiative.org. Case studies produced by the Media Ethics Initiative remain the intellectual property of the Media Ethics Initiative and the University of Texas at Austin. They can be used in unmodified PDF form in classroom settings. For use in publications such as textbooks and other works, please contact the Media Ethics Initiative.